"Gray skies are gonna clear up, put on a happy face." Absent more "technical issues" at the New York Stock Exchange, U.S. markets will open this morning and stocks will go up. U.S. stock futures are pushing higher and most global markets are in positive territory. 1. Stock market movers -- Facebook, Apple, Yahoo, Alcoa: U.S. stock futures are looking perky Thursday. Shares in Facebook (FB), Apple (AAPL), Yahoo (YHOO) and Alcoa (AA) are all pushing up by about 1% ahead of the open. This follows a tumultuous Wednesday. The S&P 500 fell by 1.7% after trading was halted at the NYSE due to a "technical glitch." The Dow Jones industrial average also shed 260 points and closed 1.5% lower, while the Nasdaq sank 1.8%. 2. 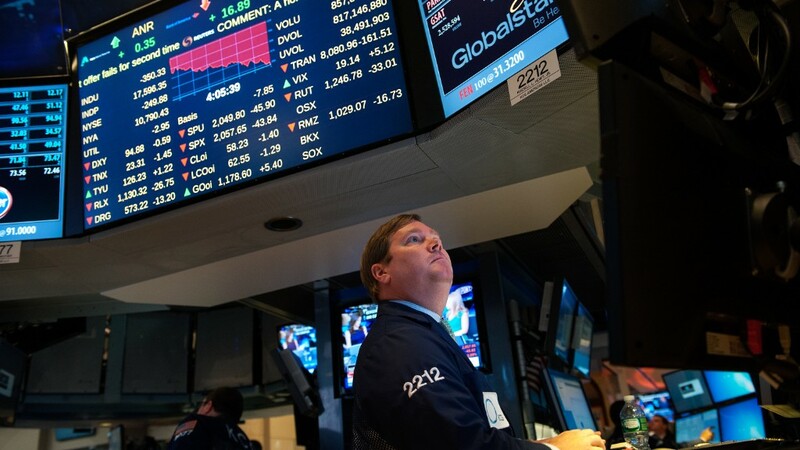 China rebounds: It was a rocky Thursday but Chinese stocks closed the trading session with sizable gains after regulators announced new measures designed to stop the stock market crash. The main Shanghai Composite rose by 5.8% and the smaller Shenzhen index gained 3.8%. Chinese stocks went on a record run throughout the first half of the year -- with the Shenzhen rising by more than 120% -- but they have now come crashing back to earth. 3. Greek drama: The Greek government is set to submit details later Thursday about how it will reform its economy, cut spending, and raise more taxes in a bid to receive a third bailout from the European Union. European markets are all rising as investors hope for a positive resolution to Greece's debt crisis. Leaders from all 28 nations in the EU will meet Sunday to make a decision on Greece's future. Meanwhile, Greek banks are set to remain closed until early next week. The Greek economy has ground to a halt as individuals and businesses have been unable to freely access money in their bank accounts. 4. Earnings: Walgreen (WBA) and Pepsi (PEP) are reporting their quarterly earnings ahead of the open. A favorable report from Pepsi could send its stock price above the all-time high it hit in February. It's traded at fairly even levels since then. Walgreens will look to reap some of the benefits of a cost-cutting plan after it closed down 200 stores earlier this year. 5. Economics: At 8:30 a.m. ET, the Department of Labor will update its figures on weekly jobless claims. Jobless claims have been consistently falling since 2009 and are currently near 15-year lows.